It’s Sunday morning and I’m standing in the shallow end of a pool. But standing isn’t quite the word. 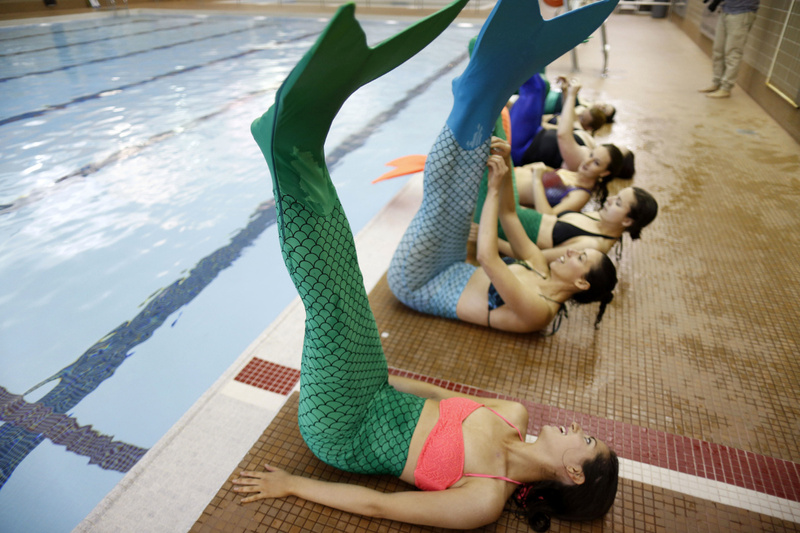 Mermaids-in-training do a little out-of-water work to practice the skills involved. Mono-fin swimming works muscle groups throughout the body, including biceps and triceps, abdominals, glutes, and thigh and calf muscles. 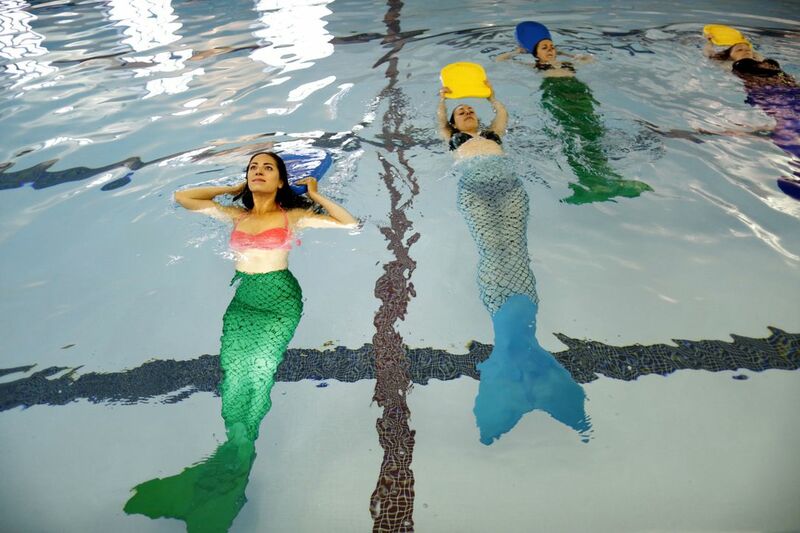 Toronto Star reporter Lauren Pelley floats with other wannabe mermaids at the Aquamermaid classes. This is AquaMermaid, a bootcamp for wannabe Ariels or Madisons — whichever 1980s fish out of water you prefer.